Each week, the church notices provide information about "what's happening" in the church and beyond. If you have an item for inclusion in the notice sheet, please contact the notices secretary ( ) before 7pm each Wednesday to ensure inclusion in the next Sunday's sheet. The most recent two notice sheets are available in Adobe portable document format (.pdf) from the links in the box above. Most computers have software installed to view such files, but the link below will allow you to download the latest version of Adobe Reader for free. Please note that for privacy reasons telephone numbers, addresses and email addresses have been removed from the online versions of the notices. If you would like to receive the full notices each week by email, please contact the notices secretary ( ) or if you are in the area why not come along on a Sunday and pick up your own printed copy? Springdale Summer Fair: Saturday 23 June 12 noon till 2pm. Come along and enjoy all the usual stalls! Springdale Summer Fair: Saturday 23 June 12 noon till 2pm. Our Covenant Services will be held on 21 January in the morning and 28 January in the evening. The winter edition of the magazine Triangle is available for download from the Resources page. The Churches of Penn Annual Open Meeting and AGM of the Penn Ecumenical Council was held at 12 noon on Saturday 18th November at Penn United Reformed Church. Followed by Bring & Share Lunch. The speaker was George Reiss, Wolverhampton City of Sanctuary. All welcome! We welcome our new minister, the Revd Teddy Siwila, and his family to the church and wish him all the very best in his new ministry in the Wolverhampton circuit. We also bid a fond farewell to Revd Chris Collins, although Chris remains with us in the circuit taking over at Darlington Street. The latest Triangle magazine is available from the Resources page. Springdale Summer Fair: Saturday 17th June 12 noon till 2pm. Dinner with Jesus: Maundy Thursday 13 April 2017 at 6pm at Wombourne Methodist Church. Everyone welcome, free of charge but tickets needed. Details in this poster. The Annual Church Christmas Fair was held on 3 December with all the usual stalls including Santa's Grotto; Raffle; Bottle Tombola; £1 Stall; Stationery Stall; Books and more. We hope you all had a wonderful festive time—many thanks for supporting! The Winter Edition of Triangle magazine is available for download from the Resources page. Springdale Family Fun Day 10 July — a fun day, for families and friends. Games, activities, food, music and an outside service if the weather's nice. After the service we hope to have some entertainment! Yesterday we voted. Today we have heard the result. The United Kingdom will leave the EU and David Cameron has resigned as our Prime Minister. In these turbulent and uncertain days, now is the time, more than ever, to remember our calling to be disciples of Christ who calls us to follow his example of love: for all our neighbours alike with a love that knows none of our human-created boundaries. John Wesley had some good advice for voters in the 1774 parliamentary elections. He said: “speak no evil of the person [you] voted against: And…take care [that your] spirits [are] not sharpened against those that voted on the other side.” Whichever way we voted, let us follow his advice because it is now more important that we seek to build relationships of love that will serve the common good. It is vitally important that we do the work now that will protect the weakest and vulnerable. It is crucial that we now walk alongside all who fear what this result means. So today let us pray and let us work for all that serves the common good and for the leaders of the United Kingdom, the European Union and all the nations of the world. So today, let us pray, and pray some more and act, and act some more. 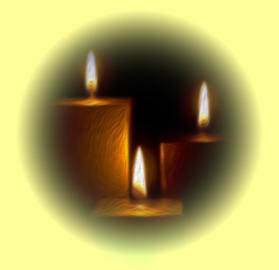 The atrocities in Orlando this week, in which 50 LGBT+ sisters and brothers have died, others left scarred by the experience and families devastated, leads us to pray for their peace, consolation and protection. We will remember them and we will pray for them and with them. Not diminishing the fact that the horrifying events have highlighted once again the issues of gun control in the United States, it it also reminds us that homophobia is not a thing of the past. Revd Chris Collins said, "Homophobia is something that our LGBT+ sisters and brothers live with on a daily basis heightening their fear to express who they have been created to be. Hate and persecution of anyone just because they are different must never be tolerated. Their pain has been compounded by the fact that much of our media has ignored the homophobic nature of the attack. "Therefore, today, we will stand with and for our LGBT+ brothers and sisters and commit ourselves to removing the scourge of homophobia in our communities." Springdale Summer Fair: Saturday 18th June 12 noon till 2pm. We have the following stalls confirmed : plants, books, toys, white elephant, pound stall, bottles, cakes and home-made. Springdale Annual Church Meeting 4pm Sunday 8th May followed by afternoon tea and 6.30pm service. This is an open meeting for all, so why not come and find out what is happening at Springdale? The Churches of Penn Covenant Renewal Celebration is here at Springdale on 15 May at 3pm. Weather permitting, it will be an open air service, in the tradition of a Methodist "camp" meeting. Robert Mountford, Ecumenical Mission Officer for Black Country Churches Engaged, is the preacher. The Summer edition of Triangle magazine is available from the Resources page. The Spring edition of Triangle magazine is available from the Resources page. The Lent edition of the Penn Churches Newsletter is now available for download. The previous edition is available from the resources page. The President and Vice-President of the Methodist Conference, Revd Steven Wild and Dr Jill Barber and have released a Christmas Message reminding us of the importance of "welcome" in Christmas. It can also be heard as a podcast. 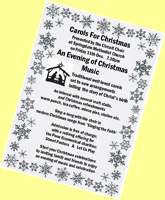 On 11 December the Circuit Choir held "Carols for Christmas: An Evening of Christmas Music" at Springdale. The first half was a Christmas choral piece and the second half was a "sing-along" of modern carols from Singing the Faith which the choir sang and the congregation could join in with, interspersed with some individual pieces. 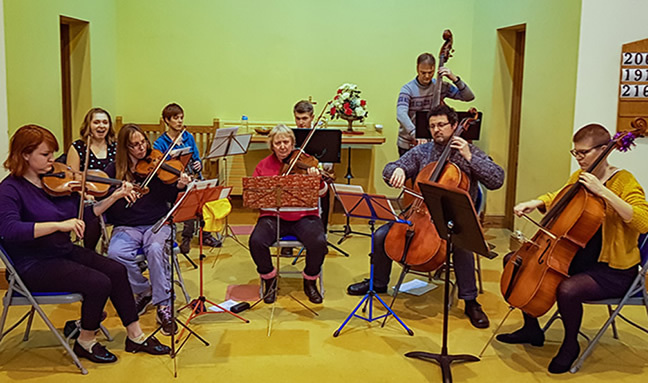 It was a free concert but donations received for refreshments and the concert will be given to Street Pastors and 'Let us Play' children's group. These are the charities being sponsored by Penn Ecumenical Council this year. 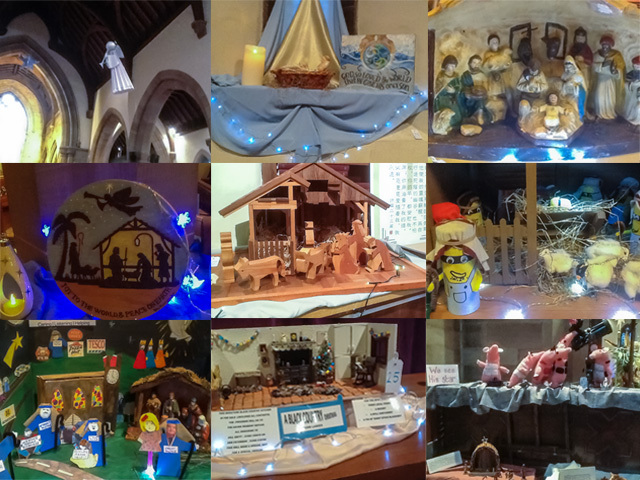 The Penn Churches' Crib Festival, held in St Bartholomew's Church on the first weekend of December, was a " first " for the Churches of Penn. A group from the four Churches, inspired by the enthusiasm of Sarah Andrews from St Michael's, had worked long and hard in the planning, and members of all the churches made and loaned cribs, and helped with setting up, stewarding, refreshments and clearing up. Local businesses and groups were invited to sponsor the displayed cribs, visitors made donations, and the total raised so far is £3,600, to be divided between the Ecumenical charities, Wolverhampton Street Pastors and Wolverhampton "Let us Play". There was a great sense of sharing in an exciting part of Christmas preparation, and the festival was much appreciated by visitors.The weekend included the Crib Festival Evensong on the Sunday evening in which people from all the churches took part. The Springdale Christmas Fayre was held on Saturday 5 December at 12 noon. All the usual stalls and games were there. The total raised has now been finalised at £2056.99. Many thanks to all those who supported the fayre, whether by attending, helping out or donating items for sale. We celebrated our Church Anniversary on 18 October 2015. The service was led by our minister Revd Chris Collins, and we welcomed Deacon Eunice Attwood, a tutor at Queen's Foundation in Birmingham and former Vice-President of the Methodist Conference (2010-2011), who gave the sermon on Matthew 5: 13-16. Our safeguarding policy, approved by the Church Council, is an important document that reflects our determination to protect the interests of and support all who use the church, however vulnerable. It is now available to view and download by clicking on the thumbnail image to the left or from the link on the "About us" page. Our Christmas Fayre will be held this year on 5 December at the church. On 28 June our Minister, Revd Christopher Collins, was ordained at Liverpool Cathedral. Heartfelt congratulations to Chris on this important occasion.